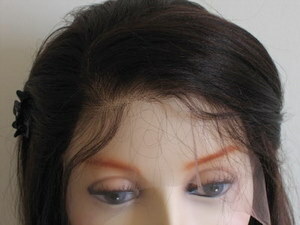 Full Lace Wigs, The 14” Helena-Brown Light Yaki Guide. 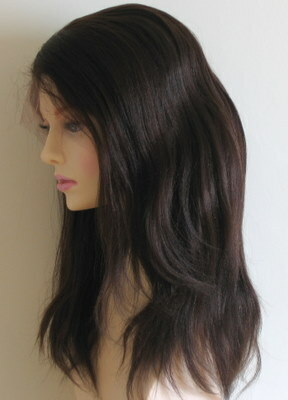 The Helena Light Yaki Straight look for full lace wigs is a soft straight Peruke. Ideal for those with extremely curly textures or afro growth hair who want hair that looks like it’s been relaxed (straight perm). 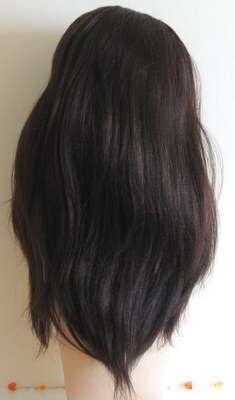 Those with types of 4a and 4b often wear Yaki straight. But if you’d like something with a bit more movement and a silkier feel, or if your hair type is mainly corkscrew curls either large or very tight, but not quite Afro (also known as 3b type hair) then the light Yaki texture is a great choice. As it’s a human hair Peruke, you can get your curling iron out and make it a curly lace wig whenever you fancy or go one better and wet set the hair after washing. Quick Tip - We always recommend wet setting the hair to preserve the life of the Peruke. The length of this wig makes it versatile. Falling below the chin it adds length to round and heart shape faces. The length will also soften the jaw line for square shape faces. As it falls just below the shoulders it suits oblong/rectangular faces. 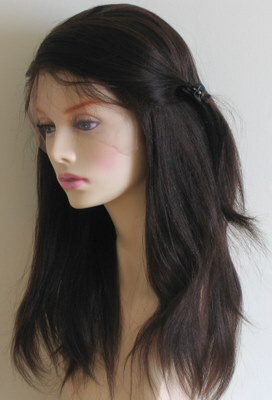 14 inches medium density (110-120%) for an easy to wear natural look. A quick word about densities - When you're looking at magazines and see "big hair" it's important to remember that the look isn't real. The look is often created by bumpits, additinoal hair extensions or volumising techniques - what you see here is exactly what your Peruke arrives at your front door. The most important measurement for wig wearers is the circumference. If a full lace wig will not fit around your head then the other measurements won't matter as the wig won't fit. 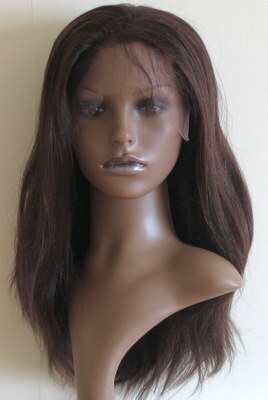 The 22.5" circumference measurement for full lace wigs is known as the medium size and will fit most people. 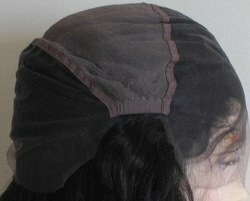 The Swiss lace cap design allows an extra half inch each way due to the ear to ear stretch. If you’re not sure how to take your own measurements you can check out our measuring guide for more details. The colour shown is 4 which is lighter than the deep brown of colour 2. If you’d prefer it in another colour, contact us and we’ll arrange it for you.